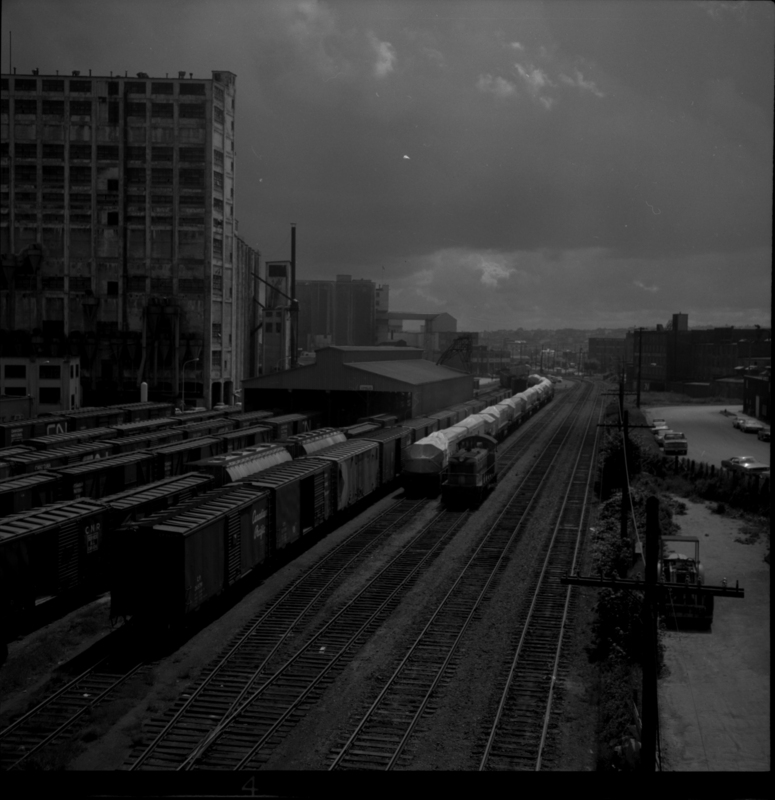 Item2013.6.36.1.015.24 - CPR yards at Drake St. Photograph depicts a general view of the C.P.R. yards adjacent to Ballantyne Pier in Vancouver. The sheeted units in the middle distance consist of an export train of 11 locies, travelling dear, just brought in by the G.N.R. switcher. The locomotives were built by General Motors, Electro-Motive Division in La Grange, Illinois. For shipment to Korean National Railways, Pusan. Diverted to Vancouver because of the U.S. Pacific Coast long shoreman strike.